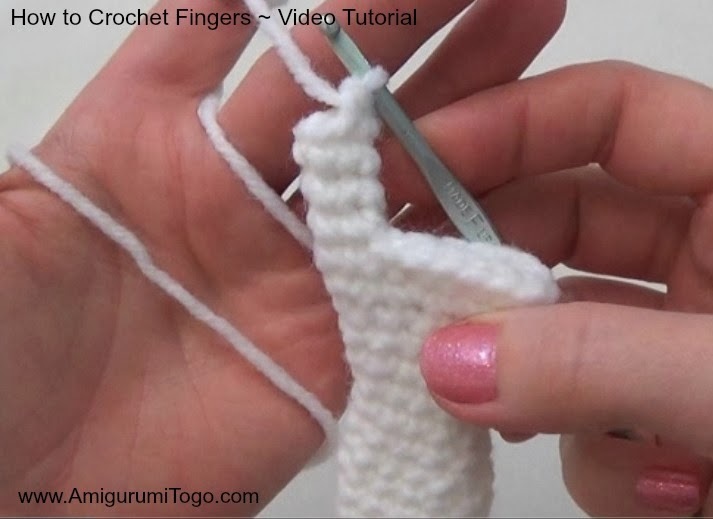 You can make the arm longer by adding more rows between 3 and 5 or 7 and 10. 13) 1sc in each st then make fingers as instructed below or follow along with the video. 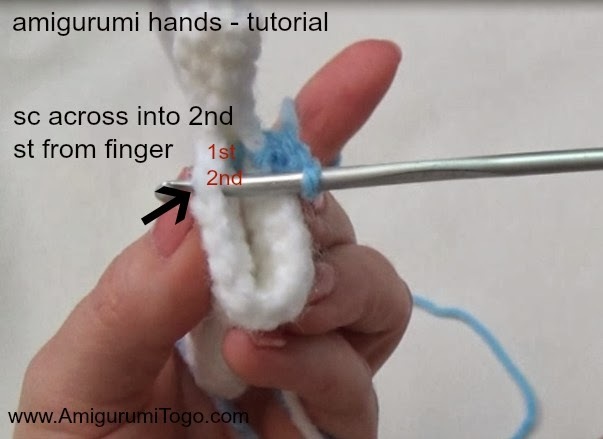 *If this method of crocheting fingers doesn't work for you then there is also another way to crochet fingers which Kim Lapsley shows us the how to here Also be sure to check out Kim's free amigurumi patterns as well, she's got some awesome free patterns for you there! row 1) 1sc into the 5th st from the hook counting backwards, crochet across the hand creating the first section, Add one more sc into the 5st you just went into. 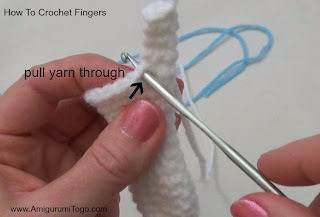 There is now 6st in the section and this completes row 1 of the finger. You can make the fingers any length but for this pattern each finger has 4 rows. Thanks for stopping by, now come on over to facebook and say hello! It looks great! I love the opposable thumb! 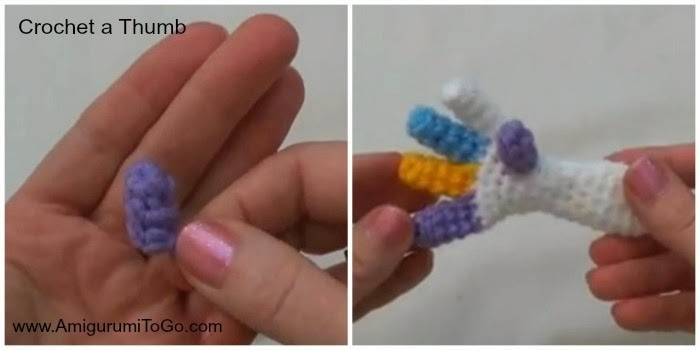 Thank you so much for this pattern and video! Thank you, thank you, thank you. 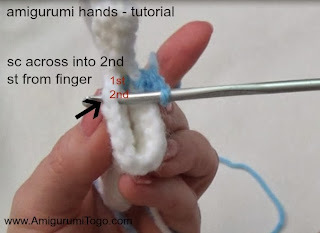 I was going crazy trying to follow a hand pattern in another pattern. 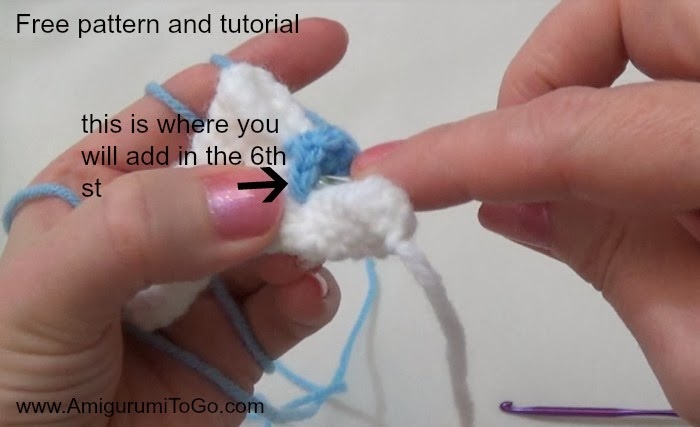 Your U-Tube tutorial and written pattern really made my day! 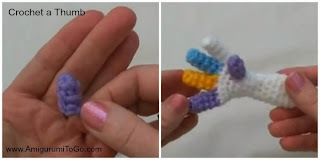 I wanted hands for my frog....viola! Here's your video to the rescue!! Will post photo when done! Thank you!!!! !